Sue in the midst of a coaching session in Cape Town. Have you ever wanted to be able to tell a story? Have you ever wondered how storytellers remember all those stories or struggled with speaking in front of an audience? If the answer to any of these is yes, come along to an introductory long weekend course and discover the magic of storytelling! We will be working playfully and deeply with a variety of traditional stories and begin exploring the world of storytelling. By the end of the weekend you’ll be able to tell a story, gained confidence in speaking in front of a group and have learnt some key skills. Suitable for complete beginners. Wicked Company is an international network of social change and organisation development professionals who are committed to the growth of Self and Others in organisations. This first gathering is in the circular Bute Rooms at the National Museum for Scotland where we will assemble in the spirit of the courageous (“wicked”) freethinkers of the Enlightenment period who attended the salons of Edimburgh for friendship and conversation, to challenge established worldviews in changing times. Cost: £1450 + VAT (includes materials, lunches, Museum tour and dinner on September 4th). 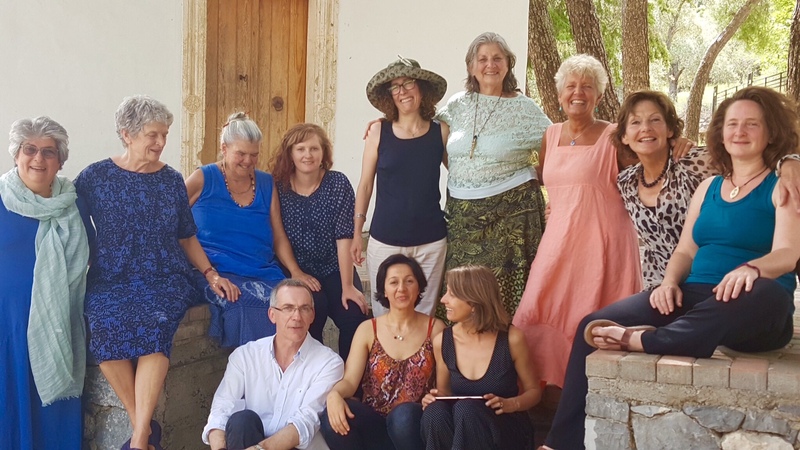 Personal Storytelling Intensive in Amari, Crete. This 3 week, full time storytelling course focuses on the art of telling true life, autobiographical stories. By the end of the course you will have the skills necessary to shape and craft any story that you want to tell, whether it’s around the kitchen table to your family and friends or to a room packed full of people! How can we share a true life story so that it is not just egotistical? How can we tell a story as if it were a gift to our listeners? How can we move people, touch them, help them see more clearly what it is to be human? What makes a life story memorable so that it can be passed on? How can we be completely present, revealing our whole selves, at ease with our true voice, words and presence? The course will include practical story crafting, including key skills that are not required for the telling of traditional stories and coaching in small groups amongst other things. It will conclude with a public sharing of our stories. A maximum of 12 students will be accepted to ensure individual attention. Some storytelling experience is beneficial but beginners will also be considered. Cost: €2195. There are 4 sponsored places for Greek Residents available for €795. The cost includes all tuition, materials, accommodation in simple, shared rooms and 3 meals a day Monday – Friday. Telling stories from our own lives invites us to look at our past and consider what is worth passing on into the future. This one week course provides an introduction to the delights and discipline of telling true life tales. Working with stories from our own lives that we want to be able to share with our families, friends or perhaps even an invited audience, we will be learning about what qualities and skills are needed to tell these stories well. There will be time to explore such questions as: has anything worth speaking about ever happened to me? Who would want to listen to my story anyway? What makes it any different from a chat about our lives over a cup of coffee? Is it the same as telling a traditional story? Do you have to tell EVERYTHING? And ultimately, how can the shaping and crafting of personal stories illuminate what it means to be human? Exact dates and details will be available very soon. Federation of East Asian Storytellers Annual Gathering in Bangalore where Sue will offer a workshop and performance. 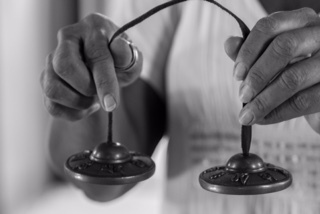 BeST Bangalore Storytelling Festival where Sue will be performing. February 16th – March 21st. The classic, 5 week, full time training in the skills of telling traditional stories AND how to facilitate and use those stories in communities and groups. There was a time when the telling of stories was as natural and necessary as walking and breathing..
We are forgetting this natural wisdom but it’s not too late to make it part of our lives again and help keep both our hearts and the hearts of our communities healthy. In these times of division, difference and sometimes mistrust, the telling of stories brings us, our families and our communities together again. 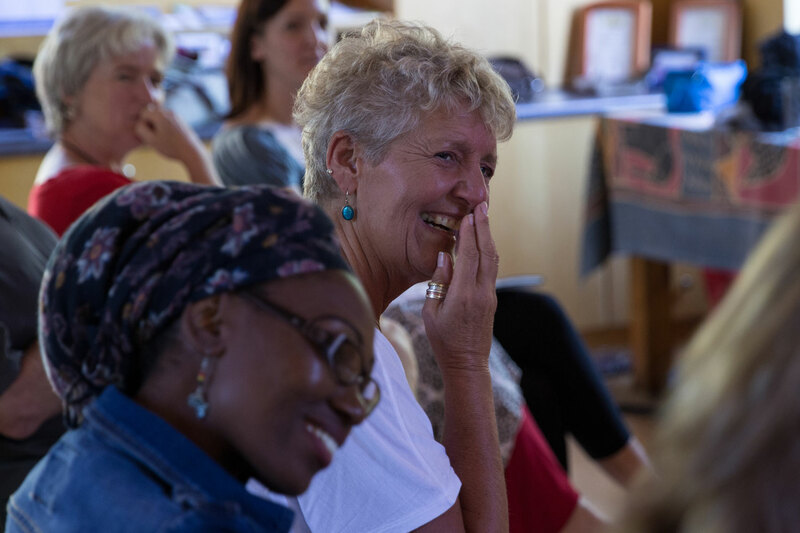 This popular 5 week, full time (Mon – Fri) course will give you the opportunity to learn or deepen your skills as a storyteller, as well as equip you to go out into your community, be it a school, hospital, neighbourhood, old people’s centre, church, business organisation or just your friends and family, and begin working with story. Suitable for both beginners and those already on their way, the course will cover the telling of a wide variety of traditional tales, the creating of spontaneous stories, an introduction to voice work and story facilitation skills. Working both playfully and deeply we will uncover the storyteller that lives naturally within you so that you can go away with a foundation of storytelling skills to use in your community. The course is limited to 14 participants and 5 places will be available for international participants. A 2-day intensive in an exclusive group offering you a focused opportunity to develop your leadership abilities through the art of storytelling. Participants will leave with an understanding of why the ability to tell a good story well is considered a key leadership competency, a grounding in the 3 main different kinds of story, a tool kit of essential storytelling skills and have had the opportunity for personal coaching on their own leadership stories. This is a rare opportunity to work with one of the most experienced story consultants and coaches in Europe in a small, informal group.Suitable for senior leaders in both the private and public sectors, in any kind of organisation, especially those seeking to extend their reach beyond their current sphere of influence. No previous experience of storytelling is needed but a willingness to be challenged and to learn in an experiential way is essential. Cost: €2500 (includes all tuition, materials, food and accommodation at an exclusive estate in the centre of the Netherlands) Maximum 6 places available. Federation of European Storytelling Organisations Gathering, Turkey.